As long as it takes you to read this post and shop. Unless you are like me and it will require at least one spreadsheet and reading at least 5 reviews of each kit at 3 independent website. 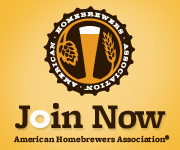 Interested in learning to brew? Looking for a gift for your special Cotton Headed Ninny Muggins? Everyone needs to start somewhere, so I was going to give a quick breakdown of various starter kit types to help you get going. I agree with those statements. How patient are you? Beer isn’t done the day you brew it. How good at cleaning are you? Nobody likes cleaning, but it is essential. How much space do you have to store the equipment? Buckets and carboys take up space, so make sure you have a space to store them in when you are not using the equipment. How well equipped is your kitchen? Starting in the kitchen is acceptable, but when you start going bigger, you’ll want to move outside. Do you have a “phone a friend”? Knowing someone who has brewed before will be very helpful. 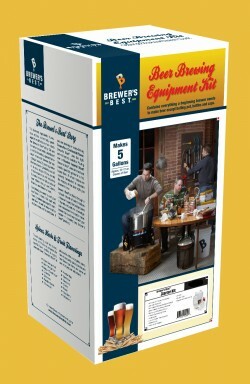 There are many kits available and many different ways to get into brewing. I will attempt to give a brief overview of a few popular options and list in my opinion, the pros and cons of each. With all kits, they should come packaged with an ingredient kit or at least be packaged with choices of a certain beer ingredient kit. The best advice I had when I started was to pick a kit for a beer that you like to drink. There is no sense in producing beer that you wouldn’t normally like anyway! I’m not going to go through the entire process of making beer, since there is a plethora of information on the internet. Keep it fun. If you aren’t having fun, then you need to think about what made it not fun and figure out a way to make it better next time. I would call this The “Gateway” Beer Kit. This is probably the easiest way to make beer. This is the equivalent of the Easy Bake Oven for beer. You are simply mixing extracts with water and adding yeast. This is the way I started. Well the kit, plus a bunch of other stuff you can read about HERE. There are several variations of the kits. Some come with a glass carboy and others come with buckets. I started with the glass carboys, but quickly went back to buckets for practicality reasons. See blog post Fermentation Bucket Liners. Most of the Brewers Best brand kits are full extract and made for 5 gallons of beer (boiling water for an hour with either dry or liquid extract additions and hops). You can get by with what is called a “partial boil” where you are only boiling 2.5 gallons and adding cold water at the end. Some of the Brewers Best kits are extract plus steeping grains. This is slightly more complex than pure extract, but their instructions are clearly written and produce good beers. I’m still using some of the equipment I got with my kit. Well, plus my neighbors kits since they gave theirs to me. Not completely all grain, but in reality, you will be surpassing the taste of the macro-breweries from the get go and within a few batches, you might be producing better tasting beer than some of the national craft breweries. More involved that Mr. Beer, but your steps will be what you will be doing throughout the rest of your brewing career/hobby. If you have a LHBS, your best bet is to go there and talk to them. Make friends with them, as they will be one of your biggest sources of help in your brewing. If they aren’t helpful, then you either need to find another store or go to the internet for help. Every brewing supply store I have been to has employees that live to talk about beer and help others make it. Every store should have a variety of starter kits and be able to help you choose the right one for your needs. When you go in, don’t be intimidated by the towers of stainless kettles or the bearded guy with the body piercings. You should make it in and out with ease. These Fun Size kits are actually pretty cool. For someone just getting started with brewing, this is a way to start with smaller size equipment that won’t go to waste when you get more advanced and start going to bigger batch sizes. Your LHBS might have these, or they could set you up with the stuff to put your own kit together and scale down some of their recipes for you. The Brooklyn Brew Kit actually bypasses the extract concept all together and teaches you all-grain brewing from the get go. You really just have to find the kit that suits your budget, ultimate desire, storage situation, etc.